I loved watching the All Blacks vs Italy game over an early breakfast yesterday before church. I loved the Italian passion and playing in Rome must be a wonderful experience given that city’s place in the history of the world. I felt that the Italians competed cleverly all through the first half leaving a close and fair half-time score with the All Blacks just ahead. Clearly the Italians had identified that a rushing defense would stop the All Blacks attacking game. But such passion has to be sustained to beat the All Blacks and that never really looked likely and the second half proved it. The 42/10 result fairly reflected the difference between the two teams – the game is 80 minutes long and the last 20 minutes are usually the most telling when the All Blacks play. What has been startling has been the response of some New Zealand media to the game. TVNZ were hugely disappointing in their reporting of the game in the 6pm news slot. Their interpretation was that the All Blacks performed under par! Really? It seems that there is an expectation that every attack and set piece should yield a significant result. I find this attitude and expectation staggering. In a weekend when the Samoans defeated Wales (the six nations champions) and when other leading teams like Australia, France and South Africa had comparatively modest wins, it baffles me that NZ media are claiming that the All Blacks were sub-par. 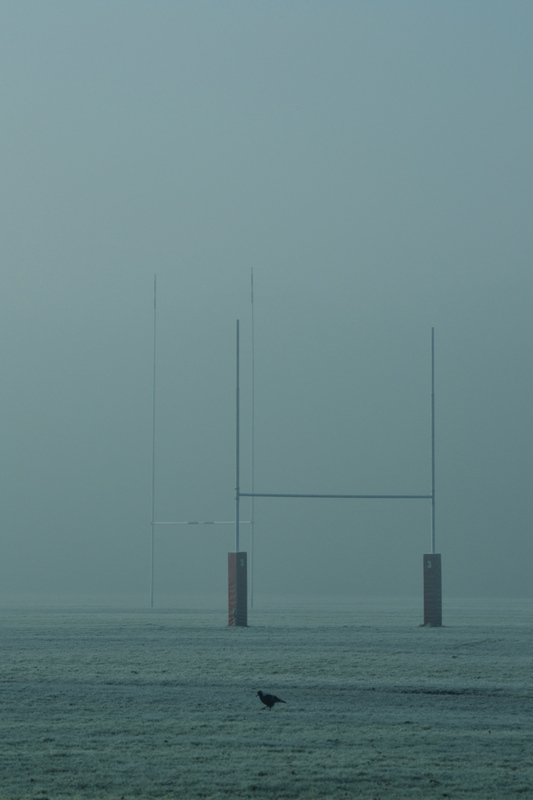 1. the All Blacks won – and won well. It is an 80 minute game and the All Blacks played a great 80 minute game wearing down the spirited and respectable opposition. 2. the All Blacks adapted their game as a response to the excellent Italian preparation and execution of their game plan in the first half. The Italians were not able to adapt their game and paid the price. 3. the All Blacks never looked like being beaten. Indeed they were masterful winners. 4. only one person from the starting lineup against Scotland last week was in the starting line-up against the Italians. How many teams could boast that kind of depth. If it took some time for this new configuration to find their feet, so what, the result was indicative of the real capacity of the team. 5. the game was hugely entertaining. The penalty count was low, the rugby was free-flowing, the tries were scintillating, and some players were simply outstanding – Conrad Smith, Cory Jane and Kieran Read were a class apart. A sustained very good team effort allowed them to shine. 6. Not every thing worked, but there was inventiveness, skillful running rugby, excellent and consistent defence, and flair and imagination. What more can we ask of a touring team that is intent on strengthening its capacity? Just one more thing – a handsome win. And that was what we got! TVNZ and other media, we have much to celebrate and very little to bemoan! It has started and the opening evening was thrilling. I was moved by the spectacular opening ceremony – the karanga (call of welcome by the Maori woman) matched with the fantastic imagery of the fish-hook drawing people to her was a work of genius. The music was powerful and made wonderful use of the Maori and Pacific rhythms of our country – I particularly enjoyed Tiki Taane’s song. I loved the wide use of the city of Auckland rather than just running the show in Eden Park. 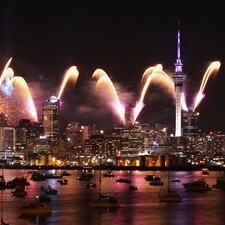 The images of the Waitemata Harbour glowing in the vibrant colours of the fireworks is the lasting image for me. Fantastic – what a brilliant show case for New Zealand’s most significant event on the world stage.